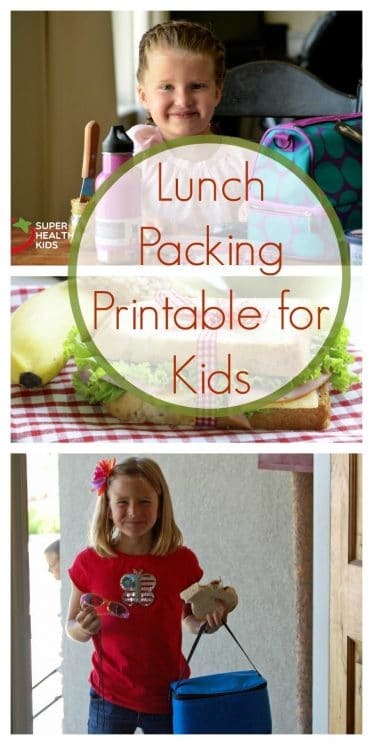 Kids can use this lunch packing printable to make their own healthy lunch! because they want to make sure they get a healthy meal? because their morning is hectic, and parents don’t have time to manage the process? Or is it because you haven’t considered that the kids are completely capable of doing this task, and they might even do it better? I learned my lesson early in my parenting. My oldest son traded the ENTIRE lunch I made for him for a single piece of candy! (I believe it was a single candy corn!) ha ha.. At that moment I decided to let them decide what they were going to put in their own lunches, as long as it met my standards of course! From that was born our required checklist. To encourage kids to pack their own lunches, I created this printable for them to use when packing. It’s been a GAME CHANGER! 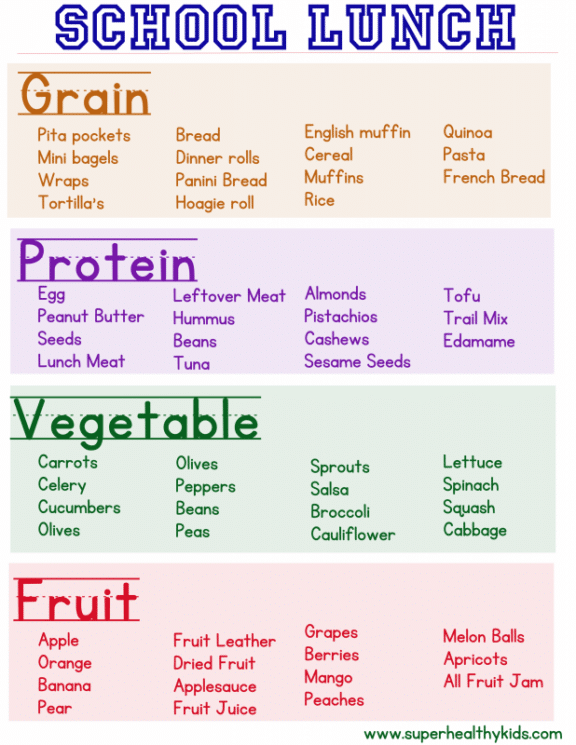 I want them to make healthy choices, on their own, and this chart helps to make it happen. They know they have to choose one thing from each food group to “pass inspection!” We have printed and reprinted this to hang inside our pantry door. We also have baskets where they can find different these exact foods to pack. Each lunch, I needed them to have a grain, protein, vegetable, and a fruit. I had a chart similar to this one hanging on our fridge for their reference for many years. They would refer to it for ideas, and then make their lunch. This is the best way to avoid the problem of packing 3 granola bars and nothing else, or forgetting a veggie. 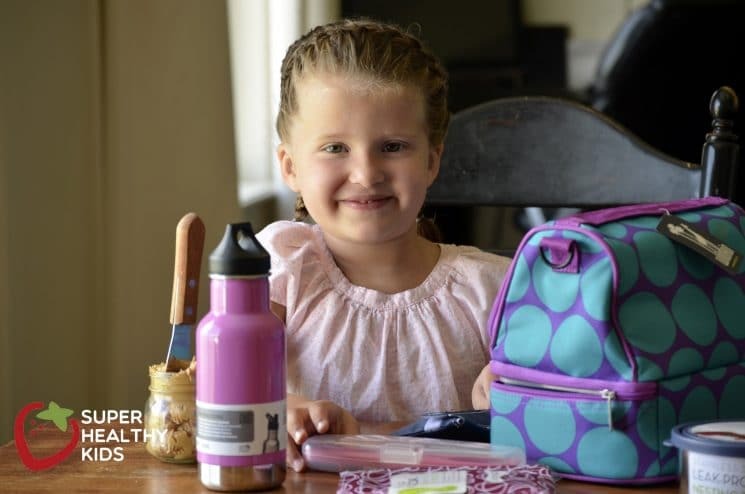 Anything that will get the kids involved in the process of making their own lunch is going to give them kitchen skills they need and ownership over what they choose to bring to school. What are some healthy things to eat for lunch? Having a balanced lunch means packing a food from each food group. That’s why we love this printable inside our pantry. Sandwiches can be made with all different types of grains or breads. 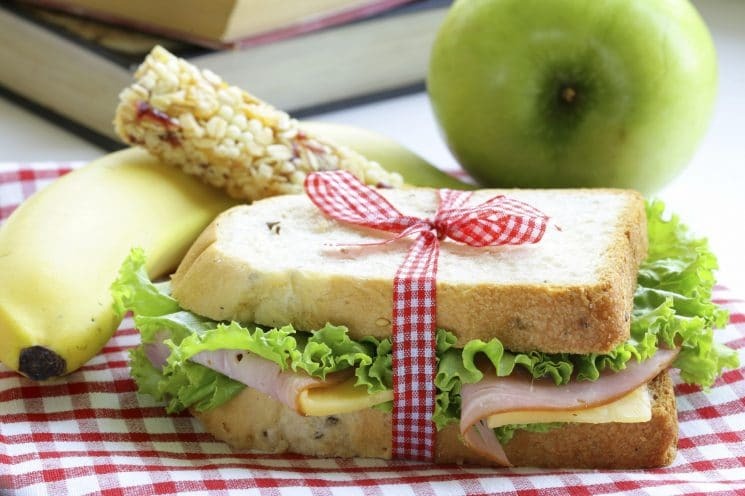 The toppings for the sandwiches could include some type of protein, such as lunch meats or nut butter (seed butter if nuts aren’t allowed at your school) . The sides can be a variety of fruits and vegetables. Wraps (tortilla) with lunch meat and hummus. Baby carrots with a dip or dressing for dipping. 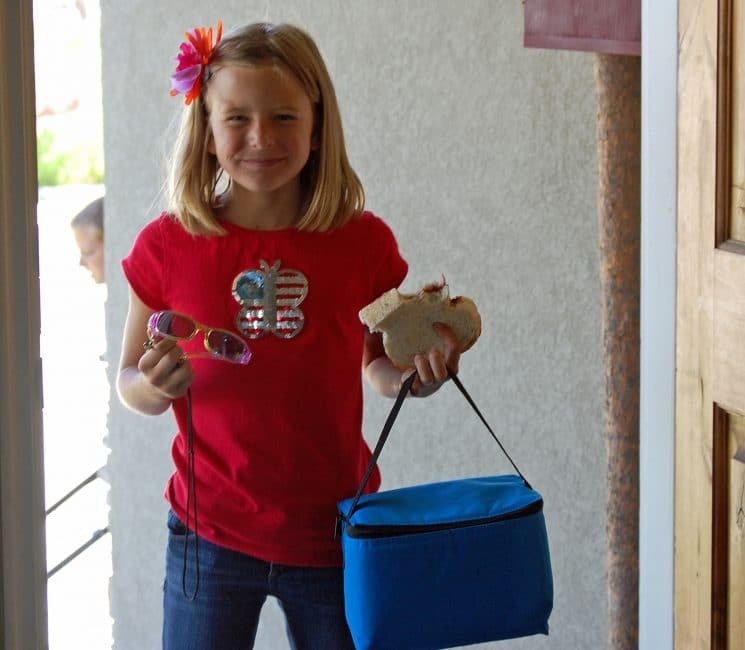 Whatever you choose to have on hand for your kids to pack their lunches with, make sure it’s THEM packing the lunches, and not you! Click Here to get the printable! READ NEXT=> 10 Non- Sandwich Lunch packing ideas! This is wonderful!!! Any chance this could be created in Spanish? I am a teacher and we have some niños who are coming to school with just a fruit or chips or cookies. 2. Entree… this could be a sandwich, leftovers, crackers and pepperoni, etc. Giving them these parameters helped them and now, a few years later, lunch making has become a breeze. Printables like this, especially with examples, are so incredibly helpful for kids and really enable them to become more independent. Which is better for them and for mom… everybody wins! Love it!